Whilst we all frequently get asked by UKIP nationally to donate to the party, it is easy to forget that the branch also needs some funds with which to function. This can include booking a room for a meeting or responding to calls from our leader for donations for elections. 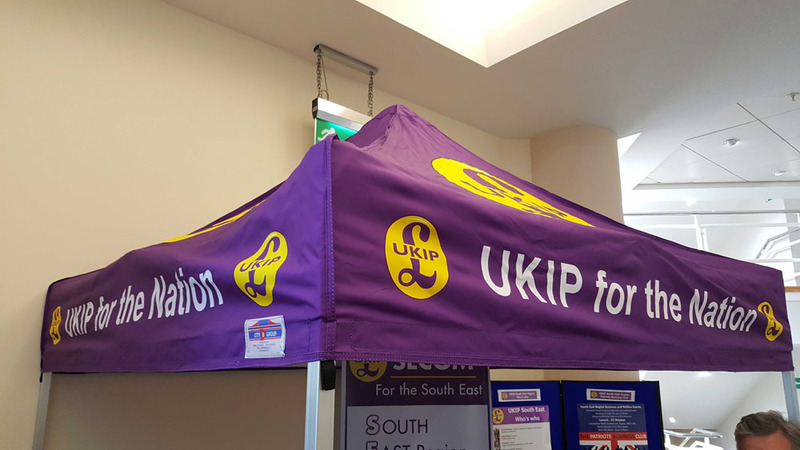 Pictured above is the gazebo that we bought jointly with UKIP Hunts & South Cambs and UKIP West Suffolk at a cost of c£500. It's a good sign that any donation you make will not be wasted.